Man, I'm dead tired... 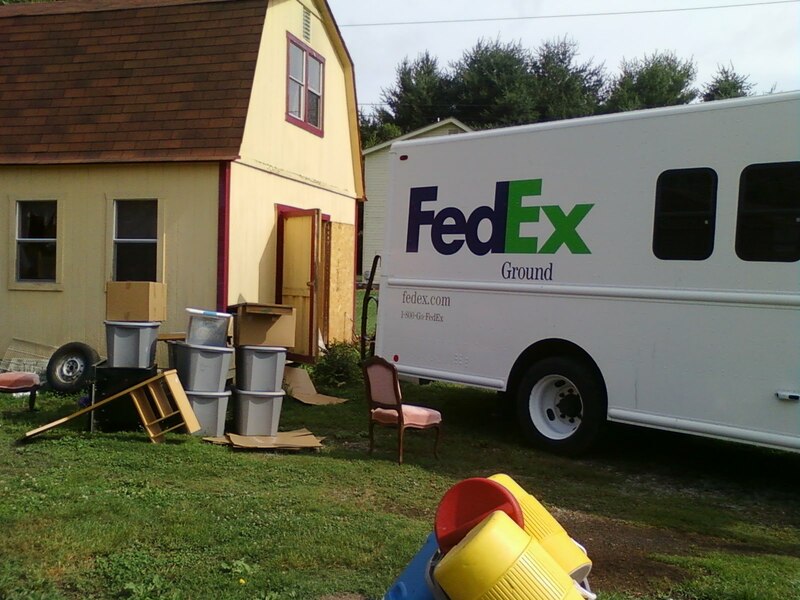 Yesterday our stuff came back from FedEx. I had to clear a spot in the shop for it all and then load it. When we loaded all this stuff we were in a hurry so some things that were not worth saving got loaded along with good stuff. There are a lot of things that are questionable as well like my unfinished pine desk. I love that thing but it's not too stable right now and there is some mold growing on it. We'll see what some glue, clamps and bleach do for it.